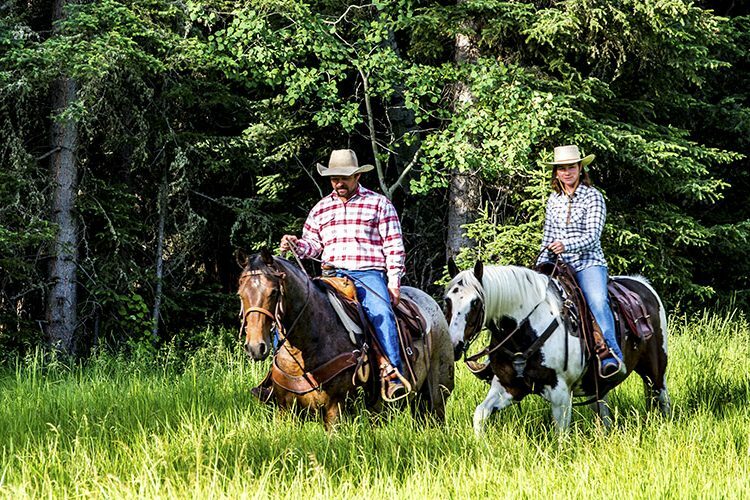 The Star Hill Ranch was the discovery of the current owner after an exhaustive search that included on-site visits to more than fifty ranches throughout the Rockies. It is a very special property with an undeniable charm and sense of history. It is offered turn-key right down to the exceptional saddle horses and tack to silverware in the kitchen allowing a new owner to move right in and enjoy the exquisite taste of the owners. The current ranch manager and his family, who have been responsible for the ranch for 24 years would love to stay if a new owner is interested. The setting is magical and extremely private yet very accessible. The improvements are classic older log cabins right out of another era and the access out the back gate is to some of the wildest backcountry one can find. All of this is less than an hour from town and a commercial airport. Star Hill is an end-of-the-road ranch tucked up into the Shoshone National Forest about 30 miles west of Cody. It is situated where Big Creek, a tributary of the North Fork of the Shoshone River, exits the national forest. It offers tremendous views of the Absaroka Range and is totally private lying in its own valley buffered by the national forest on both sides and within yards of the wilderness boundary. It boasts an excellent set of classic improvements and furnishings in a turn-key offering. The buildings were refurbished by famed architect Jonathan Foote with highly regarded construction firm OSM doing the construction. They are both charming and comfortable while maintaining the authenticity of a bygone era. An ideal family retreat, this ranch enjoys an owner’s compound, Four Seasons Cabin, horse facilities and a ranch manager’s home. Essentially the property is a strategic parcel of deeded land extending into the Shoshone National Forest, which in this area forms a protective barrier along the east boundary of Yellowstone National Park less than 30 road miles to the west. It essentially controls access into amazingly wild country that offers some of the finest big game hunting in the area. It widens or fans out as it extends from a narrow intimate valley southerly onto an irrigated bench above Big Creek which wends its way towards its confluence with the Shoshone River. Cody with daily commercial air service and multiple cultural and social amenities is a thirty-minute drive to the east - yet a world away. This is a classic historic guest ranch converted to a family retreat that is being offered turnkey and ready to enjoy immediately. ACREAGE BREAKDOWN: 80 acre approx. of irrigated meadows plus nice riparian along the creek. IMPROVEMENTS: 6 classic refurbished cabins and lodge plus all season cabin and managers home. Also barns, tack shed, etc. DESCRIPTION: End of road ranch tucked into Shoshone National Forest in its own valley. Very private and big views to Absaroka Mountains. WILDLIFE: Most major species are seen on ranch regularly from cougars to both species of bear to wolves, coyotes, and of course elk, antelope and deer. SUMMARY: Amazing private family retreat within easy drive of Cody and Yellowstone Park. After leaving the paved highway one climbs on a good graveled road until one pulls up onto an expansive bench and approaches the ranch gate. This bench divides 2 drainages that flow into the North Fork of the Shoshone River. Big Creek is the larger of these drainages and is the valley in which the ranch is situated. From this vantage point there are magnificent views of the mountains that form the North Fork Valley. As one drives into the ranch driving in a northerly direction the irrigated meadows lay off to the west and rise up to the ranch manager’s house and then give way to the foothills of the national forest. The road then drops off the bench into the Big Creek valley and meanders along the creek-bottom before arriving at the Four Seasons Cabin (so named because it is fully winterized for year round use) and the horse barns. It then passes a small irrigated meadow above the barns and ends at the owner’s compound. Giant spruce trees and groves of aspens combine with the open meadow to provide a magical setting for the traditional log structures that make up the owner’s compound. While they are thoroughly modern, these classic log buildings and their setting tucked into the mountains give one a real sense of history- as if they had been there for a century or more which in fact some of them might well have! More importantly as one parks and turns around to look to the south the valley opens up looking over the North Fork Valley to the massive bank of mountains that form the south side of the valley – absolutely stunning! One particularly enjoys this view from the front porch of the lodge. The main compound has a dining lodge and a series of guest cabins with manicured lawns and huge towering conifers. The buildings are situated in the ideal spot at the upper end of the property where it extends deep into the Shoshone National Forest providing incredible privacy, yet it looks back out at the magnificent views to the south. Big Creek flows down along the edge of the ranch just inside the national forest. Star Hill Ranch is located 25 miles west of Cody off the Yellowstone Highway (US Highway 14, 16 & 20). The first 22 miles is on very well maintained paved highway then you turn off onto Road 6 BU, which is a private graveled access road. The end of the road is the ranch gate making this a true end-of-the-road property. The ranch is accessible year round with power, telephone, WIFI, and internet. The setting is completely private, quite spectacular and perfect for accessing extensive backcountry. There is daily commercial air service from the Yellowstone Airport in Cody just 30 minutes from the ranch. 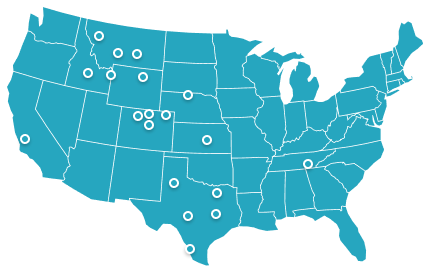 Connections to Denver and Salt Lake City are provided by United and Delta, respectively. Cody is a very attractive town with a long history of guests and visitors who have fallen in love with the mystique and the history of Cody and settled or retired there. It is the county seat for Park County and is home to the only night rodeo in Wyoming. There are nice restaurants and galleries, but the crown jewel of the community is the internationally recognized Buffalo Bill Center of the West, which is comprised of five museums all in one big complex: the Buffalo Bill Museum, the Whitney Gallery of Western Art, the Plains Indian Museum, the Draper Museum of Natural History and the Cody Firearms Museum. Cody is a major access point to Yellowstone Park, both for tourists and backcountry enthusiasts. 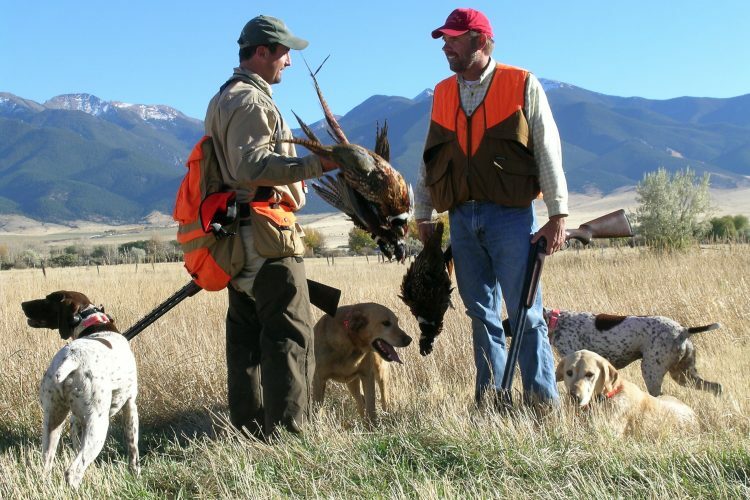 Superb hunting, fishing and recreational opportunities are enjoyed in the many mountain ranges of the area. But there is also a touch of elegance found in Cody which is always most prevalent when the Buffalo Bill Center of the West kicks off its annual fund-raising event in late September. The Art Show and Auction and the Black-Tie Dinner Dance are not to be missed. Patrons come from all over the world to attend. The North Fork Valley is an expansive valley dominated by high mountains on the south and cliffs, mountains and incredible rock structures on the north. The central part of the valley has seen sporadic development both for tourism and because of its proximity to Cody. However, the tributary valleys and there are perhaps half a dozen at the most have remained absolutely pristine and are home to some of the most desirable and beautiful ranches in the Rocky Mountain West. They combine complete privacy, stunning scenery, and amazing wildlife with easy access into Cody and more importantly into Yellowstone National Park and the massive wilderness ecosystem of protected lands that surround it. Star Hill Ranch is one of those jewels in the crown of the Yellowstone Ecosystem and indeed of the North Fork Valley specifically. The North Fork of the Shoshone enjoys a temperate summer climate with cool evenings and warm days. The spring and fall days are crisp in the mornings and usually give way to warm afternoons. The protected nature of the compound means that they are protected from the winds. In the winter the snowfall is light to moderate and the occasional warm spells can eliminate all the snow in the valley floor for long stretches at a time. The Star Hill Ranch improvements are reminiscent of the classic dude ranch, which of course it was at an earlier time. There are half a dozen attractive and comfortable sleeping cabins (from 276 to almost 700 square feet) each with its own bathroom and electric heat and all located within a short walk of the main lodge yet each very private. The main lodge is comprised of a living room, office, dining room, kitchen and a one-bedroom suite with a bathroom. There is also a laundry cabin, a tool shed, a children’s play cabin and a large dry storage building for food which also has a bunkroom with bath attached. As mentioned earlier, renowned architect Jonathan Foote, who has made an art form out of working with older log and stone structures, was brought in over 20 years ago to enhance and preserve the buildings in this charming compound. In addition to the main compound, there is a manager’s home, the Four Seasons cabin and older horse barns. The manager’s house is approximately 2,000 square feet and was built in 1985. The caretaker cabin is around 1,000 square feet and was built in 2005. The horses are accommodated with three barn/shed type buildings all centered around the corrals and a new hay barn built in 2017. There is also an open-faced equipment shed and a separate shop building with a poured concrete floor that round out the working buildings. The ranch has water rights out of Big Creek by way of the Big Creek ditch which they share with four downstream neighbors. They have opted to graze the approximate 80 acres of meadows rather than cutting hay. Big Creek is a focal point of the ranch passing by the buildings and offering that critical water feature as well as a place to pick up the odd pan-sized trout. The ranch also has 4 domestic wells located at the manager’s house, the barn area and the owners compound. There has been no recent activity in this area. The owners will transfer any minerals that they own, but they believe that they own no minerals under the property. $5,616 based upon past years assessments. Since the ranch is virtually surrounded by the massive block of wilderness designated national forest that surrounds Yellowstone Park – actually, as a crow flies, just 25 miles from the Park Boundary, it should come as no surprise that it is home, throughout the year, to just about every species of wildlife found in the Rockies. With antelope, deer, elk and moose traveling from the Shoshone National Forest to the Park and out towards the Plains throughout the year the owners have enjoyed watching a broad selection of wildlife from deer and elk to bears and cougars from the front porch. Hunting behind the ranch is exceptional and the fishing on Big Creek is great fun for small pan-sized trout. The angler who desires a little larger prize can always run down to the North Fork of the Shoshone just below the ranch where large browns and rainbows can be caught all summer and fall. The river runs through the national forest near the highway from the ranch all the way to the Park boundary and is easily accessible and not heavily fished. Trails, literally out the back gate of the ranch, access hundreds of thousands of acres of unspoiled wilderness. Star Hill Ranch is a little slice of civilization virtually on the edge of one of the largest chunks of wilderness to be found in the lower forty-eight. Hiking, pack trips and hunting trips from the ranch are in a word - spectacular. Star Hill is operated as a quintessential family retreat for the owners. Three generations of the family have enjoyed the ranch for approaching 30 years. 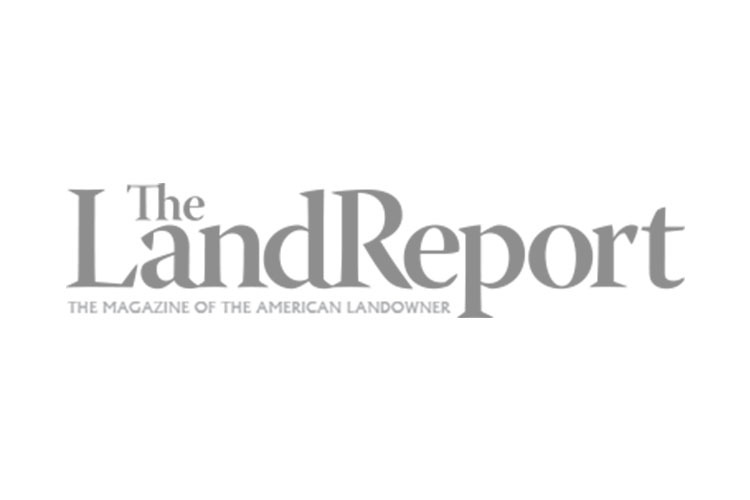 They employ a full-time ranch manager and the current manager has been there for 24 years and comes with the highest recommendation of the owners and would like to stay on. They normally bring in a chef and housekeeping staff for the season. The ranch comfortably accommodates large numbers of family and friends during the peak periods. Some friends and family return in the fall for the big game hunting season as hunting in the national forest behind the ranch is exceptional. The main ranch operation involves spreading water on 70 to 80 acres of meadows, looking after the horses, purchasing 30 to 40 tons of hay for winter feed, and most importantly looking after family and guests during a 6-month season. The ranch does have a 30 head cattle permit on the national forest which is on a long-term nonuse program. 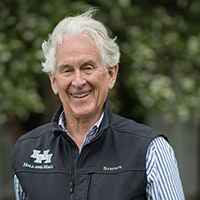 When it was active, it involved buying and bringing in 30 yearlings in the spring, maintaining the fences over the grazing season and then gathering them in the fall to be resold. This activity was thoroughly enjoyed by the family but did not normally yield much of a profit. This is intended to be a "turn-key" price including horses, equipment, furnishings, and tack–right down to the bed linens and towels. The owners will provide a short list of excluded items.